Unearth Hidden Assets through Co-design and Co-production is a collaborative action research project that brought together academics, practitioners and community-based partners to explore how creative and collaborative processes can unlock potential in people and places. In the first stage of this project, partners explored a number of ways they could use their collective experience to support communities in the co-design and co-production of the action research on mobilising assets in communities. From this we agreed that collaborative partnerships between academic and practitioner partners, would each work in a different location with local partners to develop action research that would respond to specific needs identified in the area. Four sub-projects were carried out in collaboration with communities in four different locations: Tidworth (Wiltshire), Shinfield Rise (Wokingham), Newcastle and Stoke-on-Trent. All projects explored how hands-on, creative activities including play, games and theatre, can be useful in attracting and engaging people, unearthing and unlocking assets, and in initiating positive changes within communities. The Glass-House and academic partner Open University worked with Wiltshire District Council, The Army Welfare Service and local action group, Tidworth Mums. 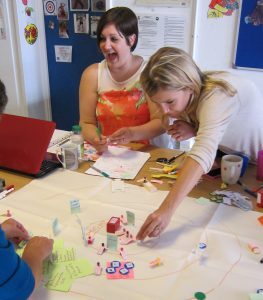 Our Tidworth Mums: a case for soft play project used asset-mapping to visualise current assets and creative play engagement to build a network of play supporters to help build the case for soft play in Tidworth. The research project also created opportunities for the various sub-projects to come together, share experiences and learning, and to be inspired by other communities making a difference in their areas. Unearth Hidden Assets was led by Brunel University in collaboration with HealthWORKS Newcastle, Keele University, Kindle Partnerships, New Vic Theatre, Open University, Shinfield Rise Community Flat (Collaboration), The Churches’ Regional Commission (North East), The Glass-House Community Led Design, Tidworth Mums, University of Leicester, Wiltshire District Council and consultant Alison Gilchrist. 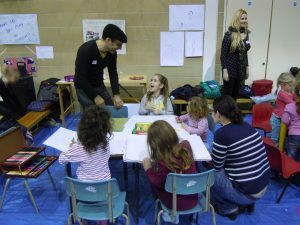 The project was funded by the Arts and Humanities Research Council through their Connected Communities Programme. The Unearth Hidden Assets project demonstrated that asset mapping is a powerful tool that can be used flexibly and creatively in diverse contexts. The project’s focus on using creative and playful approaches to asset mapping helped to draw out a wide spectrum of assets, including friendships and local networks that are so vital to community-led projects. The process helped members of the communities taking part recognise the many hidden assets that they had within their reach, and indeed that each of them individually was an asset in their own right. This was an empowering process for groups and individuals. 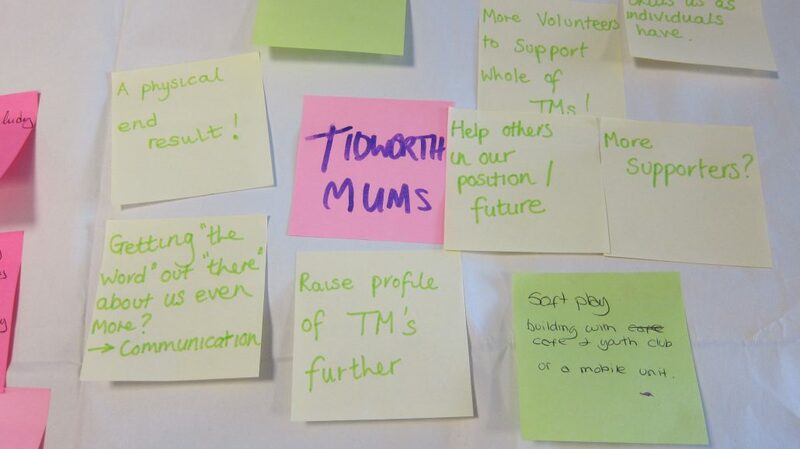 Tidworth Mums are still using some of the play engagement techniques we developed together to continue the dialogue with their community, and while doing so, to offer a great play experience for local families.